Maggie Valley United Methodist Church | Welcome to Our Congregation! Welcome to the only traditional, mainline congregation in Maggie Valley. 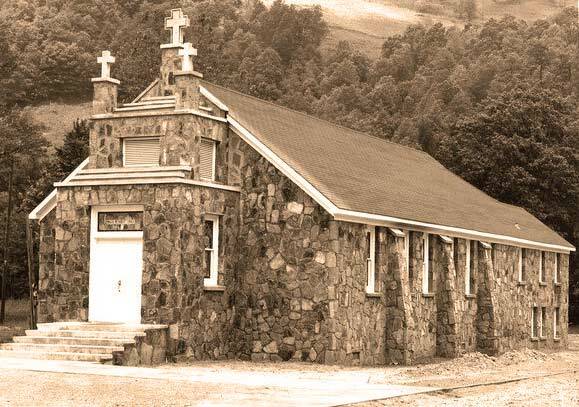 One hundred and fifty years ago, a small congregation of faithful Christians built the first sanctuary and public school in Maggie Valley. Today, our vital congregation continues its original priorities with all the people in the valley: worship and service. Rev. Ann Duncan has served as pastor of Maggie Valley United Methodist Church since July 2018. She is from Western North Carolina and the daughter of two United Methodist ministers. Ann graduated from Duke University and Boston University School of Theology. She returned to North Carolina in 2010 after two years serving in the Peace Corps in West Africa. Ann enjoys preaching and teaching, getting to know people and their stories, and volunteering and visiting in the community. Ann is married to Nathan and has two children, Roan (Born in 2011) and Emmalena (Born in 2013). Whether you are a full time resident or seasonal, we would love to meet you. Enter your email below, and we will let you know about upcoming events.